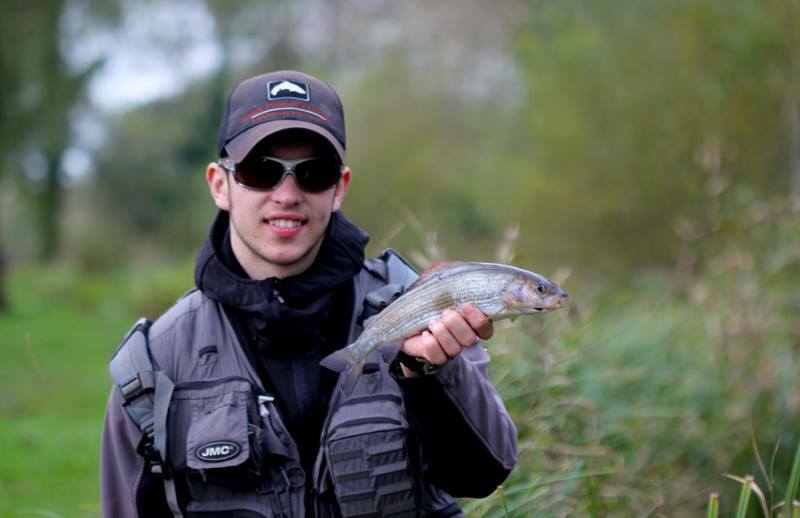 Every winter I always try and get down to the river Test for a few days grayling fishing, the clarity of the water on both the Test and it’s carriers are something that has to be seen to be believed – Crystal clear waters, even with the most horrendous conditions – which hinders much of our fishing through the winter to say the least! 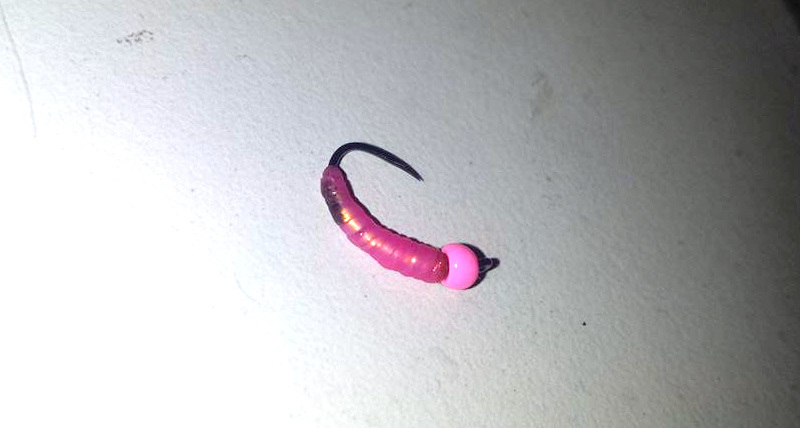 If you can get on the Test, anywhere throughout it’s 40 mile length, you’ll be in for some amazing fishing. My mates Will and Sean joined me for a session below Andover on the Timsbury Fishing stretch of the River Test, a section I’ve only fished once previously. The beat is around two miles long, including a great section of carrier. Unfortunately the heavy rain we experienced Saturday evening and into Sunday morning coloured the main test up somewhat, granted it was still ‘clear’ but there was a lot of leaves and floating debris which made spotting them a little difficult. The carrier was absolutely gin clear which made for very interesting fishing. 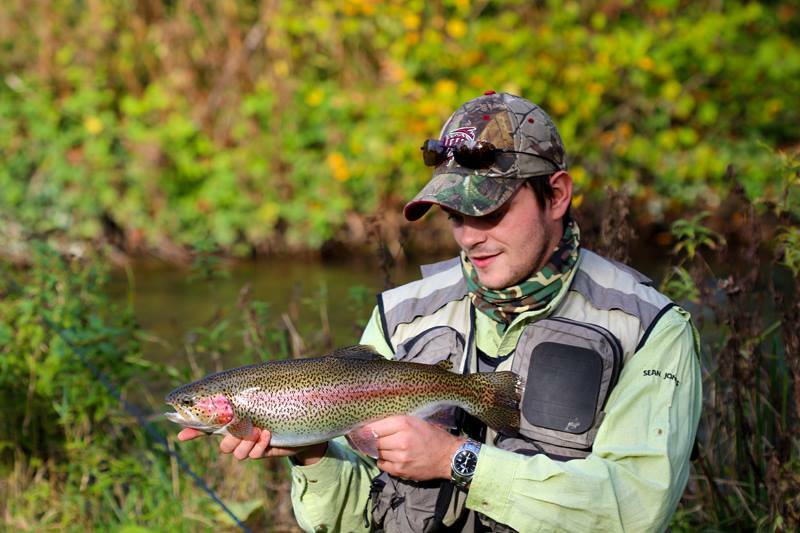 The french leader was the best method on the day, with mainly trout coming to the dries. Hot spot hares ears and Hot Head maggot imitations dropped strategically in front of the larger grayling with fine 6X tippet taking most. With the water being so clear, Airflo Sightfree G3 was my choice as it’s suppleness and clarity in the water is second to nonem the thin diameter also cuts the water tension quickly, sinking to my desired depth quickly. 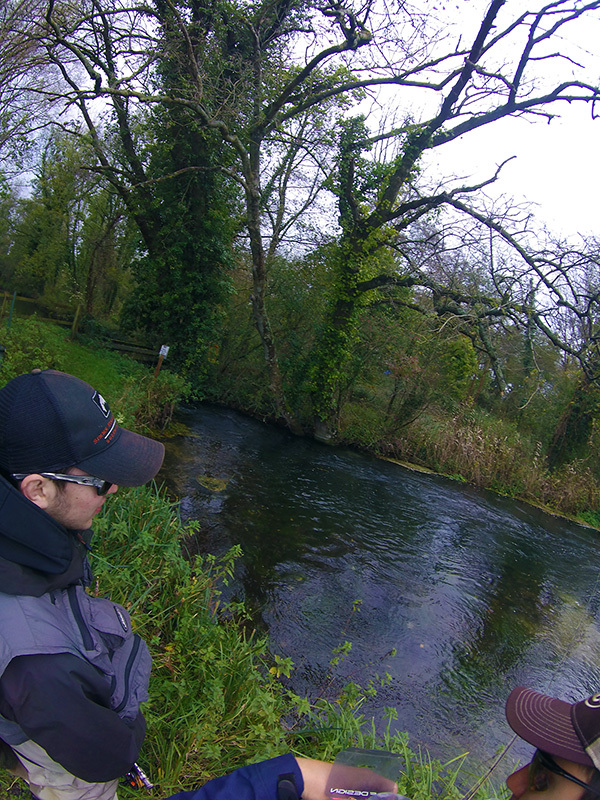 The extra strength of fluorocarbon also helped when snagging the occasional branch! 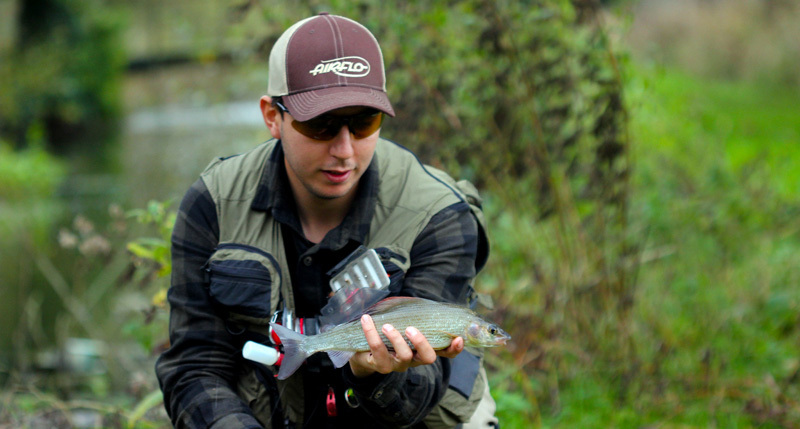 The grayling ranged from fingerlings to fish near enough 2lbs in weight, with larger fish being spotted, but spooked before getting the right cast. 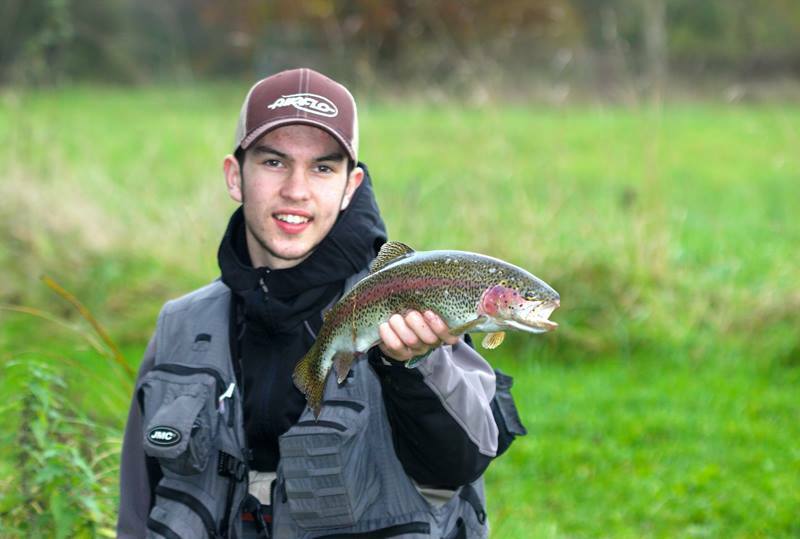 The majority of the fish were around 11 inches long, with the odd rainbow and brown trout mixed in. Here are a few favourite fish from the day. The two bows, although out of season, gave hell of an account for themselves, taking both Will and Sean two or three runs downstream!